Chick-fil-A Dinner/Holiday Concert - Welcome to the OCMS Band Website! 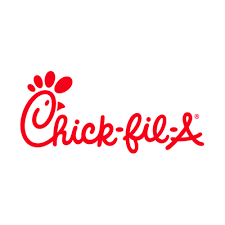 Our annual Chick-fil-A Dinner will be held in the OCMS Cafeteria on Thursday, December 13 from 5:00 pm – 7:00 pm. Please come and support our program and feast on the most delicious chicken you’ll find in Oldham County!! For more information, please click on the Chick-fil-A Dinner Order Form, which is attached below. The Holiday Concert will begin at 7:00 pm in the OCMS Gym with the OCMS 6th Grade Band, followed by the OCMS 7th Grade Band, and brought to a conclusion by the OCMS 8th Grade Band. All students are expected to stay for the entire concert and assist with taking the chairs, music stands, percussion equipment, etc., back to the Band Room at the conclusion of the concert.